1.0 Introduction-Southeast Bank Limited (SBL) has got a good reputation all over Bangladesh. In 1995 some renowned businessmen established SBL as a public limited company. It started business focusing on the better services provider to the customers as one of the better private banks in post independent Bangladesh. SBL has become one of the biggest commercial banks after facing many difficulties. Now SBL has twenty seven (27 )branches through out the country. SBL consider them as a peoples’ bank which not only makes an example in commercial side but also keep their touch on socio-cultural sectors. SBL is involved with the inward and outward remittance business from the very beginning. The transaction occurs through Nostro account, issuing TT, DD and mail transfer. The bank has sixty (60) important correspondent banks around the world. Huge number of Bangladeshi lives outside Bangladesh and in some cases they are main earning sources of their family. They send money regularly to their family through SBL on regular basis. In recent years politicians and academics have discovered the importance of remittances to economic development of the origin countries of migrant communities. According to official estimates, some ninety three billion US Dollar (US$ 93 billion) were remitted to developing countries in 2003. This makes official remittances the second-largest financial flow to developing countries after foreign direct investment (World Bank, 2004), surpassing the official aid flow to this region (IOM, 2004). Bangladesh receives an important share of this global flow, i.e. two per cent (2%), and accounts for twelve per cent (12%) of the official remittances flowing into South Asia (Kuddus, 2003). Remittance business is a good source of income for the bank. Transferring the money for others, the bank can earn some money through charging some amount. Not only that, the bank can use the remittance amount as a short term investment. As a good source of income, SBL is desperately looking for better performance to compete with other banks in the banking market. The purpose of the study is to make a comparative analysis of remittance of SBL with other leading banks in the market. This report also provides an over view of in Bangladesh. Data was collected from bank records through respective executives and mangers of SBL. To gain information from the bank employees’, interview technique was applied. Interviews were taken of those who were interested to explain the scenario. To collect primary data in-depth-interview techniques was used. For collecting secondary data journals, articles, internet websites, different publications, company brochures and other internal sources have been used. Data was collected from the primary and secondary sources. The revenue figure was collected from the SBL head office (HO) database and from the departmental database dealing with remittance. To comply with the organizational policy dummy figures have been used. Plain comparison has been made to demonstrate the remittance picture. Due to the lack of data it is hard to make a statistical comparison. Remittance is connected by a lot of local as well as international political, economical and foreign policy related factors which are very hard to quantify. The study will help the SBL to compare their current remittance status with other competitive banks. By the comparing with others, the bank can take necessary actions to do the remittance business more efficiently. As Siddiqui (2003) states, Bangladesh has a long history of migration. Migration has shaped and is still shaping Bangladeshi society. Although this report does not focus on migration, it must be acknowledged that most migratory movements happen within the country. Some micro-level studies give an idea of the importance of migration in rural villages. A study in sixty two (62) villages in Bangladesh by Rahman, Hossain and Sen in the early 1990s (cited in Afsar, 2003), showed that three-quarters of those migrating from rural areas migrate internally, and some twenty four per cent (24%) migrate overseas, while Hossain’s study (Hossain, 2001) in rural villages in the district of Comilla showed that internal migration accounted for sixty three per cent (63%) the total migratory movements within that area. International remittances come mainly from three large, but distinct types of migrant. Firstly, there is an important, mainly American and British, diaspora of well-educated, high or middle income earners. Secondly, there is a diaspora of Bangladeshi origin, in the same countries and other industrialized countries, belonging to the low-income or unemployed segments of the population. Thirdly, there is a major group of migrant laborers, residing for a specific period in Middle Eastern, South-East Asian and some industrialized countries. These migration movements are not unique for Bangladesh, but show similarities with other South and East Asian countries (Skeldon, 2003; Waddington, 2003; Wickramasekera, 2002). According to the International Organization for Migration (IOM, 2004) there are about three million Bangladeshi migrants working abroad sending remittances more or less regularly to their families and friends at home. In addition, there are about one million Bangladeshis permanently residing abroad. They also send remittances to their families. The temporary and permanent migrants together represent about four million families in Bangladesh. In 2003, approximately three billion US Dollars (US$ 3 Billion) came into Bangladesh as remittance and that is only through the official channels. It is estimated that an equal amount came in through informal channels. At the national level, the implications of this remittance flow are enormous. The country’s foreign currency reserve is supported by this remittance therefore remittance is playing a crucial role in supporting the balance of payment. Remittance also accounts for thirty per cent (30%) of the national savings. Research also shows positive impact of remittance on consumption, investment and imports. Transfer of remittances takes place through different methods. Forty six per cent (46%) of the total volume of remittance has been channeled through official sources, around forty (40 %) through hundi, four point six one per cent (4.61%) through friends and relatives, and about eight per cent (8%) of the total was hand carried by migrant workers themselves when they visited home (Siddiqui & Abrar 2001). Banks are the major actors in remittance transfer. On the issue of transfer of remittance the banking services have to be made more attractive to wean clients away from hundi. Banks have to match the level of services currently provided by the hundi operators such as cost and speed. Different steps may be undertaken to improve the quality of services provided by the banks (Siddiqui & Abrar 2001). Foreign inward remittance: Remittance of foreign currency being received in the country from abroad is called inward foreign remittance. Foreign outward remittance: Foreign currency being made out abroad may be termed as foreign outward remittance. The modes of foreign inward remittance are telegraphic transfers (T.T), demand draft (D.D), and mail transfer (M.T) and travelers cheque (T.C). These are the common modes of foreign inward and outward remittances. Beside these foreign inward remittances also include remittances on account of export purchase of bills, purchase of draft, purchase of T.C foreign currency notes and coins, cheques issued on foreign banks in favor of beneficiaries in Bangladesh etc. Local currency debited to non-resident taka accounts of foreign banks or convertibles taka accounts constitute inward remittances of foreign exchange. Local currency credited to Non Resident Taka account of foreign banks or convertible Taka accounts constitute outward foreign remittance. Outward foreign remittance also comprises remittance on account of import and private remittance on sundry items. The statistics of the Bangladesh Bank only reflect the formal remittance flow. According to a study of Mahmud (cited in Puri and Ritzema, 1999), twenty per cent (20%) of the total amount of remittances are informal remittance in Bangladesh. A study of Siddiqui and Abrar (2001) among labor migrants to the UAE revealed that forty six percent (46%) of the total volume of transactions has been channeled through official methods around forty percent (40%) through the hundi system, five per cent (5%) through friends and relatives and eight per cent was hand carried by migrants themselves. Official channels refer to demand drafts issued by a bank or an exchange house, traveller’s cheques, telegraphic transfers, postal orders, account transfers facilities and electronic transfers. Of these, demand drafts are most popular (Siddiqui and Abrar, 2001). Expatriates and migrants using official channels have quite a few options. Firstly, they can send money from a bank in the destination country to a bank in Bangladesh. The former bank must have a correspondent relationship with the latter. Secondly, they can send money through branches or subsidiaries of a Bangladeshi bank in the destination country. Thirdly, money can be remitted through exchange houses or banks in the destination country with which a Bangladesh bank has a taka drawing arrangement. Due to the direct link between the bank or exchange house in the destination country and the one in Bangladesh in the last two cases, the transaction time should be shorter. The Bangladesh financial system consists of the Bangladesh Bank (BB), nationalized commercial banks (NCB), and government owned specialized banks, private commercial banks (PCB), foreign banks and non-bank financial institutions. The BB is the central bank of Bangladesh, which supervises and regulates all the other banks. In order to deal with foreign exchange, banks need authorization from the BB. Banks that are allowed to deal with foreign exchange either has their own exchange branches in the destination countries or link up with international banks or money exchange companies, like Western Union. Importantly, private banks are not allowed to have branches in cities abroad here as NCB’s already have branches. However, they can have correspondent banks. While all four NCBs, Janata, Sonali, Pubali and Agrani Bank, have branches abroad or are linked up with other banks, only one specialized bank, i.e. Bangladesh Krishi Bank, and half of the PCBs have similar arrangements. Krishi Bank was established to meet the credit needs of the agricultural sector. None of the non-bank financial institutions are allowed to deal with remittances. These include the micro-finance institutions (MFIs) such as Grameen Bank, BRAC, ASA, and Proshika. Most of these institutions have an explicit social agenda and cater to the needs of the poorest section of the population. Mostly they provide credit to women. Recently, BRAC created the BRAC Bank. Importantly, this is not an MFI, but a PCB. However, it makes use of the vast network of the MFI BRAC. Currently, MFIs are not allowed to make financial transactions and deal with foreign exchange, making the involvement of MFIs in remittance transfer very difficult. BRAC Bank illustrate that the majority of official remittances is channeled through NCBs (about 58%), while PCBs dealt with thirty eight per centv(38%), foreign banks with about three per cent (3%) and specialized banks with less than one per cent (1%) of the remittance flow in 2003. On the basis of an interview with the governor of BB, Siddiqui and Abrar (2001) come to quite different figures for 2000. According to the governor of BB, about seventy three (73%) of the remittances were channeled through official banks, and more than twenty six per cent (26%) through PCBs. In terms of volume of remittances, the most important commercial bank would be Islami Bank of Bangladesh Limited (IBBL). Other noteworthy PCBs in terms of outlets abroad include Uttara Bank, Arab Bangladesh Bank and National Bank Ltd.
Country’s capital can be increased by net new investment in the business and industrial sectors. By increasing of foreign direct investment and non-resident’s investment in the business sectors through formal channel, business can have desired capital which the capital base and quantum of Bangladesh. Remittance is seven and half per cent (7.5%) of total reserve of Bangladesh which is very small amount comparing with other developing countries. That is why the country depends on foreign loans and grant. Inward foreign remittance can decrease the dependence on foreign loan and grant. It also can increase the reservation of foreign currency. If the country earns foreign currency then is records as a plus item and when the country spends foreign currency then it records as a minus item. Inward foreign remittance can increase the volume of foreign currency and thus the balance of payment will be favorable for the country. Through the formal channel, all the authorized dealers properly identify and justify their customers when they remit funds. This identification is a strange barrier of money laundering. Hundi system is the most important informal way in which money is transferred to Bangladesh. In the hundi system the migrant gives money to an intermediary, who contacts an agent in Bangladesh. The agent in Bangladesh is responsible for giving the equivalent of the money that the migrant has given to the intermediary to the recipient in Bangladesh. An Informal Exchange rate is used to determine the amount of money the recipient gets. The recipient can take the money from the agent by using a code that s/he receives from the migrant. Because there are no official documents used in the process – although informally it is often documented – the system is clearly based on trust (Berlage, 2003, El-Qorchi, 2002). Funds that transfer illegally through banks and other financial institutions threat the integrity and stability of financial system and even weaken the government. Significant amount of illegal proceeds invests in the real estate. Informal channel of transfer money can create liquidity problem. According to official data of the Bangladesh Bank and Bureau of Manpower Employment and Training (BMET), Bangladesh received about a total of thirty thousand four hundred million US Dollars (US$ 30,400) in remittances between 1976 and 2004. Figure below shows that the official flow of remittances to Bangladesh has increased dramatically in the last twenty nine (29) years. While in 1976 only twenty four million US Dollars (US$ 24 million) entered the country through official channels, this number stood at more than two thousand six hundred million US Dollars (US$ 2600 million) in 2002. Until the early 1980s remittances increased steadily, reaching around six hundred thirty million US Dollars (US$ 630 million) in 1983. The next year the remittance flow decreased, but from 1986 onwards the growth started again. In the last twelve (12) years a major increase in the amount of remittances has taken place, from just under eight hundred million US Dollars (US$ 800 million) at the end of 1990s to more than two thousand million US Dollars (US$ 2000 million) in 2001 and even surpassing three billion US Dollares (US$ 3 billion) two years later. In 2003, official remittances stood at three billion eighteen million US Dollars (US$ 3.18 billion) according to BMET figures. In the first nine months of 2004, two billion thirty five million (US$ 2.35 billion) in official remittances entered the country. According to Berlage (2003), who have compiled data from a number of information sources, in 1999 Bangladesh was the sixth remittance receiving country in the world in absolute figures. 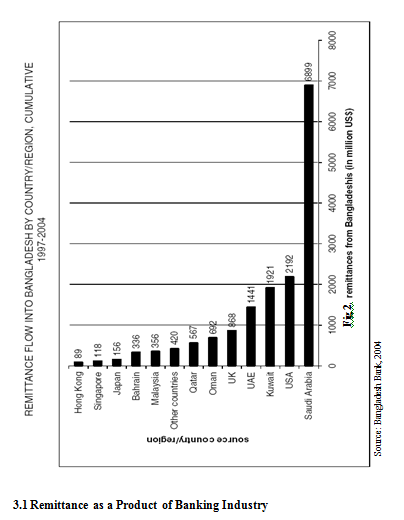 Kuddus (2003) reports that the remittance flow to Bangladesh represents two per cent of the global remittance flow. Offering an explanation for the evolution in remittances is not easy. Of course the flow of remittances is very much linked to the migration rate. The increase of labor migration to the Middle East in the second half of the 1970s has had its effects on the remittance flow. However, the correlation is not a straightforward one. There is always a time lag: the migrant needs time and money to settle him or herself in the host country. Siddiqui (2003) argues that the emigration rate has been higher than the growth of remittances. She identifies lower wage rates as explanatory factors: Bangladesh has recently experienced emigration of more unskilled and semi-skilled migrants, whose wages are lower in comparison with the previous wave of skilled emigrants, and simultaneously wage rates in destination countries have fallen drastically in the last decade. Political turmoil in the countries of destination has also affected the remittance flow. The sluggish growth in the mid-1980s may be attributed to the Iran-Iraq war of that time. A similar correlation might exist between the slow growth rate at the beginning of the 1990s and the Gulf War (Afsar, 2002). It is also assumed that the recent increase is a result of more people sending money through official channels, given the increased attention to anti-terrorism policies. Puri and Ritzema (1999) list a number of other factors that influence the size of remittances, such as exchange rates, macroeconomic policies, the marital status of the migrant, and the economic activity in the host or sending region or country. Furthermore, the figures of the Bangladesh Bank only reflect the formal remittance flow. Most of the international remittances come from the Middle East. In the last six years, Saudi Arabia alone accounted for more than forty per cent (40%) of the official remittance flow. A very important share of remittances comes therefore from temporary migrant laborers. Between 1997 and 2004, almost six thousand nine hundred million US Dollars (US$ 6900 million) were remitted from Saudi Arabia, more than one thousand nine hundred million US Dollars (US$ 1900 million) from Kuwait, and more than one thousand four hundred million (US$ 1400 million) from the UAE. The shares for Qatar, Bahrain and Oman amounted to several hundreds of million US Dollars. Officially, more than three hundred million (US$ 300 million) were remitted from Malaysia. Over the years, the USA has become the second largest remittance sending country. Between 1997 and 2002, fourteen per cent (40%) of all the official remittances (i.e. almost US$ 2,200) coming into Bangladesh from USA. The UK, another important country for long-term Bangladeshi migrants, accounts for five per cent (5%) of the remittance flow (i.e. almost US$ 900 million) in the same period. Remittance service has been proved as a major revenue generator, many banks in Bangladesh is involved in remittance business. The public banks are very much active and aggressive in remittance business. Remittance collected by the banks is used for different business like export-import business, foreign exchange selling, commission etc. According to the Bangladesh bank statistical data, the leading bank in remittance business is Sonali Bank. Other than Sonali Bank, Janata Bank, Agrani Bank, Pubali Bank are also close to the market leader. Among the private banks, Islami Bank is leading the way. More than thirty five per cent of homebound remittances are routed through Sonali Bank for its excellent personalized services and wide network of foreign inlets and domestic outlets. Remittance can be sent to all the one thousand two hundred ninety four local branches of the bank spreading over the urban and remote rural parts of Bangladesh. To facilitate homebound remittance, the Bank has two subsidiary companies, one in USA and another one is in UK. Besides, it has one representative office in Saudi Arabia and twenty three agency offices in other Middle East countries. Sonali Bank collects remittance through TT and DD. About sixty per cent of the transaction is done through DD, though TT is more convenient and quick. Due to higher charge sometimes people do not prefer TT. All one thousand two hundred ninety four branches of Sonali Bank receive remittance. For TT it takes maximum three days to credit the amount to the beneficiary account. Janata Bank is trying to encourage the expatriates Bangladeshi to send remittance through its network in various ways. They are using different methods like, brochure, newspaper advertising, website etc. to attract expatriates Bangladeshi to remit through their formal channel. Agrani Bank has one its own exchange house in Singapore. It has also special correspondent’s arrangement with eighteen other exchange houses in Middle East countries. Like public bank, the bank gives remitter the facility to open account from abroad. It also gives the remitters facility to supply statement of the account as desired by the remitters. The money is directly credited to that particular account. Further more, the bank does not charge any service charge and the exchange rate is also higher than the Bangladesh Bank rate. 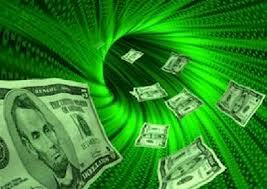 From the very beginning of the business, SBL is involved with remittance processing. SBL started its remittance business through TT, DD since 1999 and Neno money order since 2003. The inward remittance increased by twelve point four nine million (US$ 12,469.08 thousand) in 2003–2004 than 2000-2001. In year 2002-2003 total amount of remittance received by SBL was seven point eight five million (US$ 7859.17 thousand). In the year 2003-2004 it was seventeen point three two (US$ 17,321.50 thousand). Amount of one point four nine million (US$ 1,491.05 thousand) was came as an inward remittance through SBL’s Neno service in the year 2003-2004, and near about fifteen point eight zero million (US$ 15,803.45 thousand) came through different inward remittance methods. SBL collects remittance from all over the world especially from United States of America, United Kingdom, United Arab Emirates, Singapore and Malaysia. Transfer of fund from one country to another goes through a process which is known as remitting process. SBL has twenty seven (27) domestic branches. The bank has corresponding relationship with sixty foreign banks and maintaining Nostro Account in US$ with those banks. Bangladeshi expatriates are sending foreign remittances to their local beneficiaries that that Nostro Account. When a Bangladeshi expatriate’s remit the fund through different countries banks to their Nostro Account with SBL, SBL’s head office international division will receive telex message and the remittance section will record the advice and generate the advice letter to the respective branch of the SBL. The branch will decode the test, verify signature and check the account number and name of the beneficiaries. After full satisfaction, the branch transfers the amount to the account of the beneficiaries and intimates the beneficiaries accordingly. Sometimes the complexity arises, if the SBL has no branch where the beneficiary maintains his account. SBL has to take the help of a third bank who has branch office in that particular place (most of the cases it’s Sonali Bank). Above table provides that the remittance amount of SBL is much more less than the other leading banks in the country. As a private commercial bank SBL has fewer branches around the country and does not have any foreign branches. On the other hand Sonali Bank has foreign branches and the number of branches within the country is more then thousand. The same reason is applicable for Janata and Agrani Bank also. But the percentage remittance growth in the recent year of SBL is much higher than the other three banks. In the year 2002 the percentage growth of remittance of SBL was twenty seven point one five per cent and in the year 2003 it was more than thirty per cent. Alternatively Sonali Bank has point nine two per cent in 2002 and point zero nine per cent in 2003. In case of Janata Bank the percentage growth was seventeen point four one per cent in 2002 and four point eight one percent in 2003 and in Agrani bank the remittance growth was four point three one per cent in 2002 and four point one three per cent in 2003. From the percentage growth rate SBL has positive impact in the remittance service. SBL management tries to develop their customer service by offering attractive exchange rate for the foreign remitter’s and also introducing online banking systems. The bank can desire more foreign remittance inflow if they will be able to reduce charges, commission and fees related to remittance as well as by making arrangement to credit account within twelve to twenty four hours. The bank should develop policies, procedures and controlling systems to implementing strong effective Money Laundering Laws to block all money laundering activities. Security system should be improved for foreign direct investment and non-residents investments. If there is any lack of the remitting process, that should be overcome immediately. Promotional activities should be conducted both in home and abroad. Online banking system should be introduced through out the country to remit the fund more quickly. Organize seminars to create more awareness at the technical level for public officials, judicial and financial sector representatives. Making change in declaration form – C of US$ ten thousand instead of present US$ two thousand to increase the interest of remitters as well as increasing the reserve of foreign currency. Awareness should be created among the public so that they try to avoid informal channel to remit fund. The impact of this study would be very high. It has an overview of remittance scenario of Bangladesh with a modest approach of Southeast Bank Limited contribution in this service area. It has attempted to find out the foreign remitting process of Southeast Bank Limited. The study also focuses the comparison with other competitive banks in the remittance business and provides suggestions for better performance in the remittance business. It is no doubt that remittance flow generated by expatriates helps to stabilize the foreign currency reserve of the country, which is important for import based countries like Bangladesh. To encourage remittance inflow through formal channel government also introduced different Bonds and securities for the expatriates Bangladeshis to invest in the country. Iamam and Ali (2002) comments that bank should asses the need of the customers as they are the target group and as such time to opinion survey on customer may be conducted so that they can define their need and provide appropriate baking product specification. Opinion survey is required to identify the need, aspiration of the expatriates and also how they can be utilized their remittance in better way for the country. As Southeast Bank Limited is “A Bank with Vision”, it always tries to provide service without any criticize in cost effective way to its target customers. The bank always tries to provide smooth service to the beneficiaries of the foreign remittance, Bangladeshi expatriates as well as foreigners so that people will encourage remitting the fund through the formal channel i.e. banking channel. In this study cross border movements was not deal which does not necessarily mean that migration flows are not important for discussion on remittance. So for the further study this issue can be focused.